Yes! Yes! Yes! Fight! Fight! Fight! Look, we know what you blood thirsty freaks who crawl onto our website and beg for more truly want: you want more violence. More blood lust. Let’s just get it out into the open: you freaks want more fights. And sure, I gave you a perfectly good super tumble through the bowels of an airplane, but just like Eminem’s straw man fans in his song “My Name Is”, you want more violence than you know what to do with… and now you do! 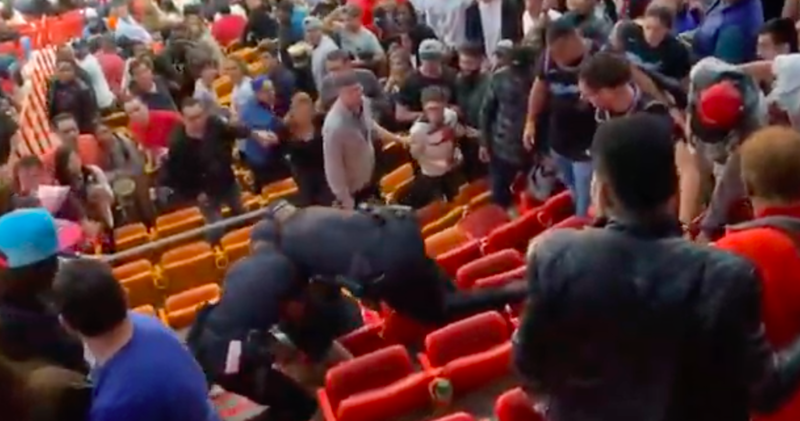 Here’s a video of a group of folks tumbling down the bleachers at a Miami Heat vs. Chicago Bulls game. 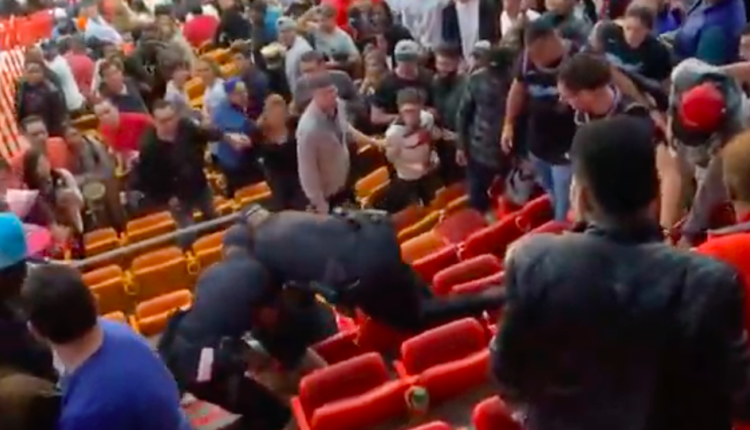 You can go to 1:48 if you want to get to the meat of the fight, but if you want the all important build up that comes before the cops just roll down a flight of stairs clutching a dude to their chest, then watch the entire video below! Oh heck yeah! Fights! Fights! Fights! Fights! The fight took place as the police attempted to arrest twenty-three year old Adrain Mato who reportedly had alcohol on his breath and slurred his speech, shortly before becoming aggressive with the cops who came horrifyingly tumbling down causing everyone to run from the police and Mato’s clumsy fall. Mato is currently being held at $11,000 bond at Turner Guiilford Knight Correctional Center. Well, here’s hoping he gets some of the money this viral video makes so he can help himself. Hey, do the subjects of drunken fight videos get some of the profits of said videos? Hmm. Something to explore in my next labor rights meeting. Uh, question one — what right do the people have to the profits of their criminal videos most drunken? Hm, much to explore. What do you think of the video? Let us know in the comments or on Twitter and check out our coverage of a big fight at a Denny’s, you violence loving freaks.